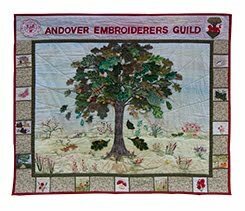 Maybe the warmer weather has tempted you to other activities but the longer, lighter days give more time for stitching! 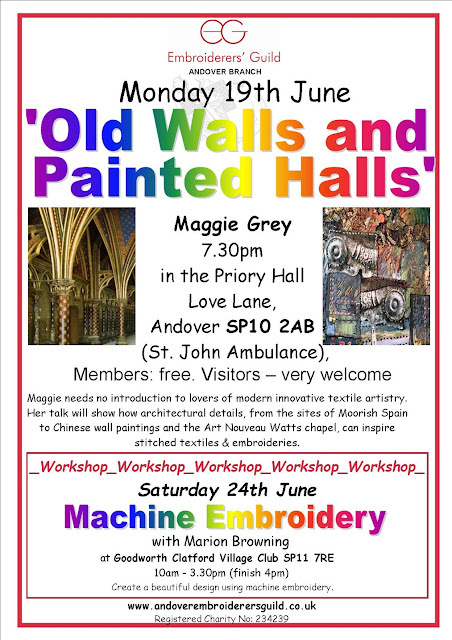 We are delighted to welcome Maggie Grey,one of the foremost practitioners of modern innovative textile techniques and editor of 'workshopontheweb', to our meeting this month. She is sure to inspire you to try something new. Don't forget to book for the Machine Embroidery workshop on Saturday 24th June and the Knitting and Stitching Show on Sunday 15th October.